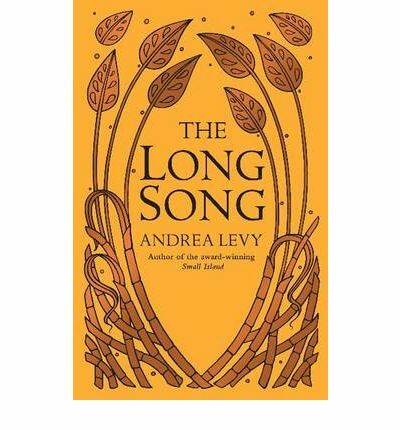 Andrea Levy’s The Long Song is a rare book for me. I approached it with a list of concerns that I was pretty certain would lead me to find it wanting and concerns like that generally get confirmed; I concluded it feeling that Levy not only had disposed of them, she had produced a highly readable and informative book. Why was I reading it in the first place? Levy’s last novel, Small Island, won a slew of prizes (Orange, Whitbread, Commonwealth Writers’) and was adapted in a popular BBC series that aired in December. I have not read it nor seen the mini-series but intend to — she seems to explore some of the same turf that Sam Selvon’s Moses trilogy (reviewed here ) did in an earlier generation. The Long Song seems likely to be on some 2010 prize lists (it is already on the Orange Prize longlist) so I figured I would start here and then decide whether to work backwards. And those concerns? The novel is set in Jamaica in the first half of the nineteenth century. The driving part of the story is about slavery on the sugar plantations and what happens when the faraway colonial masters in Britain proclaim an end to that slavery. I’ll admit that I felt I’ve read as many slavery novels as I think I want to, even if most are about the American experience. An even bigger concern was that all early descriptions of the book indicated Levy told this story in an almost lyrical fashion — and I was pretty sure that this grumpy reader would not find that appropriate, given the horror of the circumstances. Score one for the author. The book is definitely about slavery and the transition from it in Jamaica. While Levy does not shy from recounting some of the abuses and the horror of that practice, she does it an almost romantic fashion. Like Selvon, there is a fair bit of “survival” humor in her story — unlike him, it has much less of a bitter edge. And she succeeds admirably in peopling her book with a cast of interesting characters; the way that they adapt to their fates (be it as slaves or masters), rather than the larger story around them, becomes the intriguing tale. July is a slave girl who lives upon a sugar plantation named Amity and it is her life that is the subject of this tale. She was there when the Baptist War raged in 1831, and she was present when slavery was declared no more. My son says I must convey how the story tells also of July’s mama Kitty, of the negroes that worked the plantation land, of Caroline Mortimer the white woman who owned the plantation and many more persons besides — far too many for me to list here. But what befalls them all is carefully chronicled upon these pages for you to peruse. Perhaps, my son suggests, I might write that it is a thrilling journey through that time in the company of the people who lived it. All this he wishes me to pen so the reader can decide if this is a novel they might care to consider. Cha, I tell my son, what fuss-fuss. Come, let them just read it for themselves. That’s as concise and exact a book summary as I have read in a long time — and I can testify that it is honest. The three central characters are introduced, with an appropriate indication that there will be many others. The setting, both geographical and political, is established. And we are given the hint that the “thrilling journey” which the publisher son desires may not be what the narrator intends to produce. All of The Long Song comes in the form of a “novel” draft written by July, now a woman of advanced years living with her son and his family. She was born a slave, grew up as a slave and lived most of her life as a freed-slave. Levy has chosen to use her characters not to illustrate and develop that overall political theme; rather she uses the setting and circumstances as a ground on which to locate a fascinating cast of characters. July was born upon a cane piece. Her mother, bending over double, hacked with her cane bill into a thick stem of cane. But it did not topple with just one blow. Weary, she straightened to let the fierce torrent of raindrops that were falling run their cooling relief upon her face and neck. She blinked against the rain, wiping the palm of her hand across her forehead. When the serrated edges of the cane leaves dropped their abrasive grit into her eyes, she tilted her head back to permit the rain wash them with its balm. Then she stooped to grab the base of the cane once more to strike it with a further blow. So intent was she upon seeing that the weeping cane was stripped of its leaves — even in the dampening rain its brittle edges flew around her like thistledown — that she did not notice she had just dropped a child from her womb. July was born right there — slipping out to fall bloody and quivering upon a spiky layer of trash. Those two quotes don’t just illustrate Levy’s style, they also provide an indication of what she asks from the reader. The novel is written oral history, recounted by a central participant — like most oral histories, it has elements of both fantasy and playing with reality that call upon the reader to give the writer licence. If you don’t like doing that, you won’t like the book — if you are up to it, Levy does deliver a reward. The Long Song is a story of adaptation and survival in difficult circumstances, not just for the slaves but for their masters, for both are essentially powerless to address those circumstances. Caroline, who ends up owning Amity, doesn’t start out that way. She arrives as a fat, young, spoiled English widow on the plantation owned by her brother who will soon die in circumstances that I’ll leave you to discover. While the novel has its necessary share of villains, Levy chooses not to develop any of them as central characters — the masters in this book are every bit as helpless in their circumstances as the slaves they own. Unfolding history has a way of dragging them all along in its wake. The result is a novel of fully-developed characters and the story of how they face the world in which they have involuntarily been set. It is not a book about the slave trade; it is a study of a group of people affected by that trade. Levy makes them both lifelike and interesting — and that is all that can be asked from a good work of fiction. And I will be going back to Small Island.